This year, the festival gave him an even better opportunity: On April 13, Balvin will become the first reggaetón artist to officially appear on its lineup -- with second-line billing, no less -- in the festival’s two-decade history. 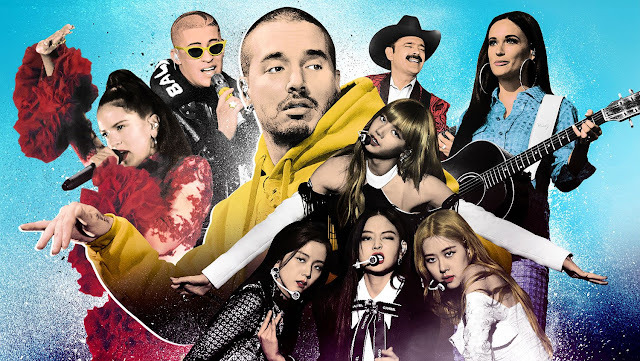 It’s one of many milestones in 2019: Coachella also booked Blackpink and Perfume, the first K-pop and J-pop girl groups, respectively, to play the festival. Latin trap superstar Bad Bunny, regional Mexican group Los Tucanes de Tijuana, flamenco-pop artist Rosalía and Chilean singer Mon Laferte round out the lineup. Balvin and Rosalía will also play Chicago’s Lollapalooza, as will Kacey Musgraves, who is the highest-ever-billed country act at New York’s Governors Ball. J Balvin, Blackpink and Drag Queens: Are Festivals More Genre Inclusive Than Ever?